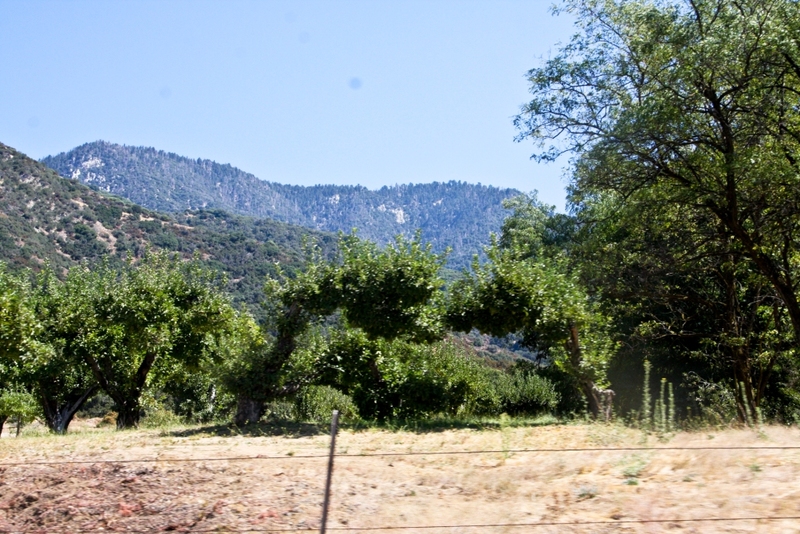 I am mesmerized by farms and orchards. Though I have never lived on a farm, it is in my blood. My mother comes from a long line of farmers, and my father grew-up working his family’s orange groves…maybe it is their stories that drew me in as a child and maybe that is why I have such idyllic notions of farming. My logical mind knows that I realistically have no idea what living and working on a farm entails and the hardships that farmers face daily, but that doesn’t change the fact that living on a ranch has always been my dream. I am called to the land and the animals and I know that ranch life is part of my destiny when the time is right. 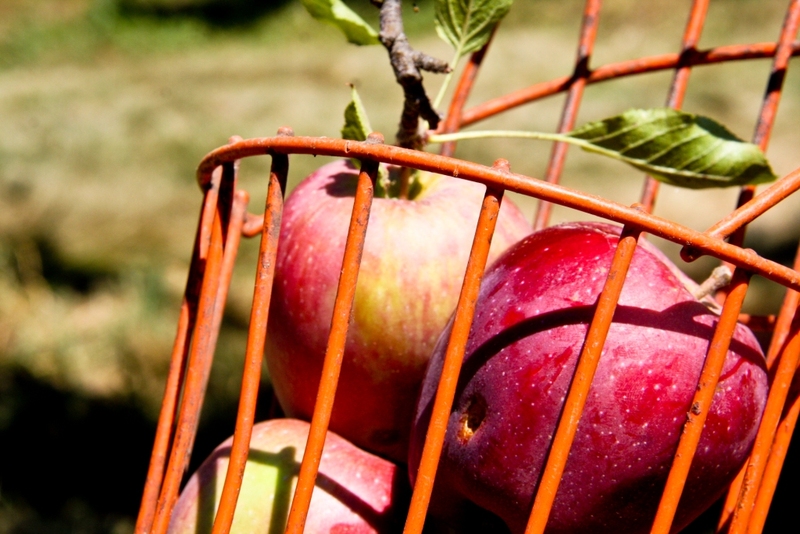 Theresa Weir didn’t have that calling, yet apple farming became her life. I just finished her memoir, “The Orchard,” and I am numb. I appreciate Theresa’s courage in telling the story the apple farm she married in to…a farm and family that never truly allowed her in. While it is common knowledge that farming is backbreaking, constant, and exhausting work, our culture has romanticized it beyond recognition. 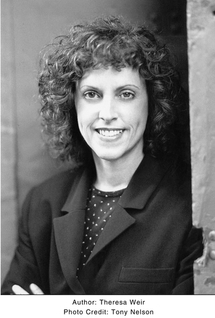 Theresa had the guts and honesty to tell the story of modern farming with truth and transparency. Farming nowadays is not the farming of our grandparent’s time; big business has taken over. Pesticides rule and people get hurt. Theresa’s memoir has elevated my respect for organic farmers (a respect that was already sky high). 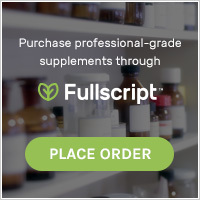 Organic farmers are literally risking their farms and livelihood to provide us with pure food; they are one infestation, drought, or awful storm away from losing everything. That is the epitome of bravery. I truly understand the circumstances that push farmers toward the use of pesticides in their attempt to hold on to the land that has been in their family for generations, but chemicals are not the answer. Please read this book. 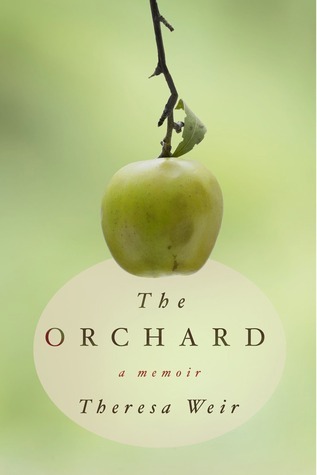 The Orchard was so intoxicating that I could not put it down…I read this book so quickly that it was as if I drank it. We need to reclaim our farmland. This weekend my lovely little girl turned 6! 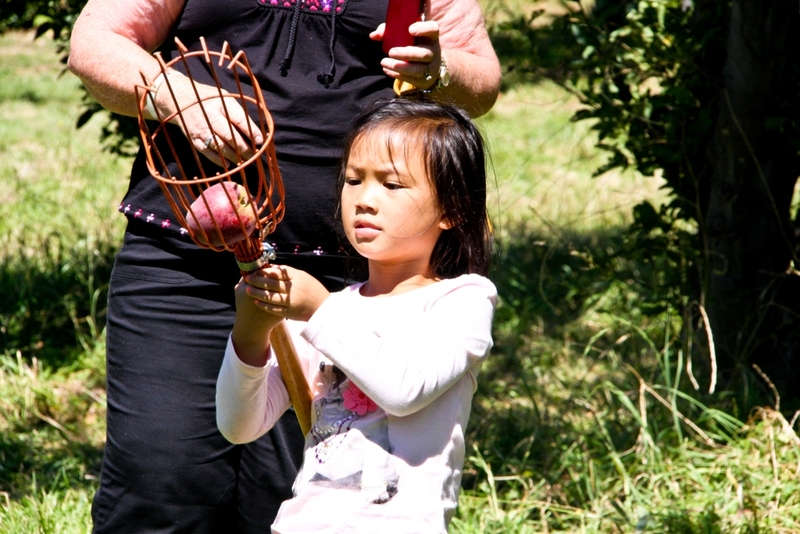 In honor of her autumn birthday and my recent completion of The Orchard, my family took a trip to Oak Glen for a fun-filled day of apple picking. Both of my children share my love of the land which made the day all the more special. 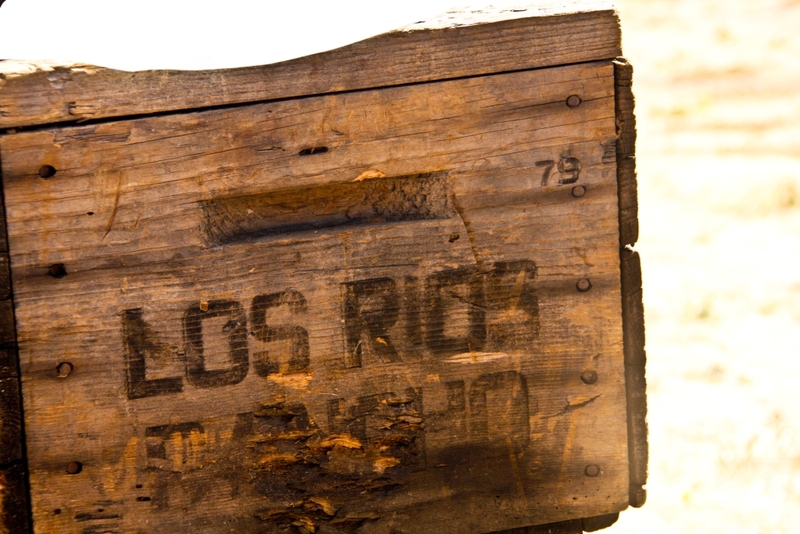 We visited Los Rios Rancho which is my favorite organic apple orchard in Oak Glenn. 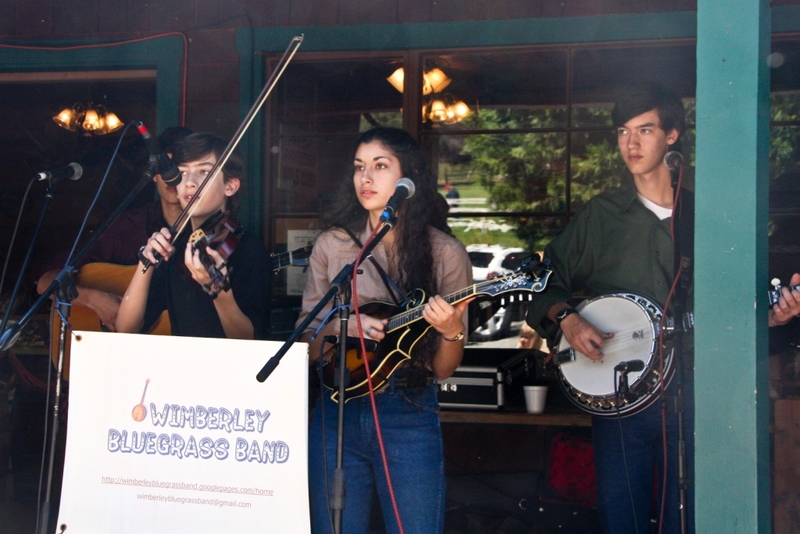 While there we ate lunch while listening to a bluegrass band comprised of 4 siblings. It was heartwarming to listen to their music while their parents proudly looked-on from a table piled high with their cds for sale. 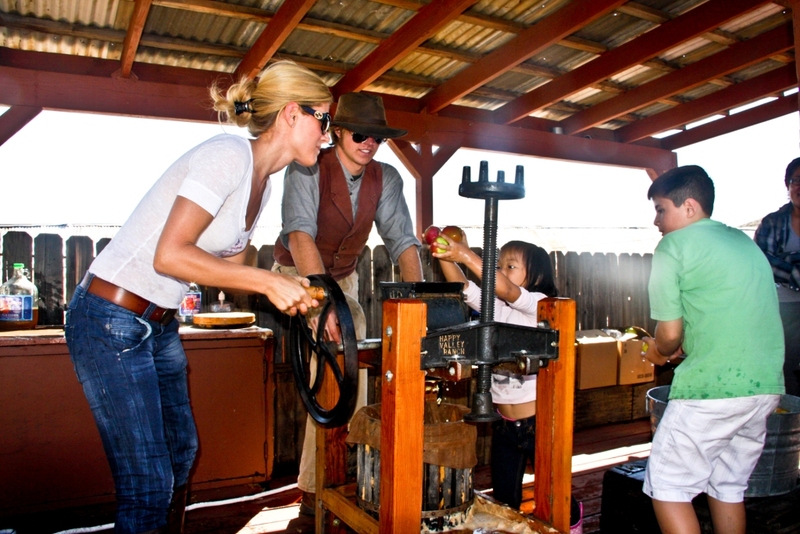 After lunch we went into the U-pick orchards and had a lot of fun taking turns with the apple picker. Since the orchard is organic, there were quite a few apples with worm holes, but I will take worm holes any day over pesticides! 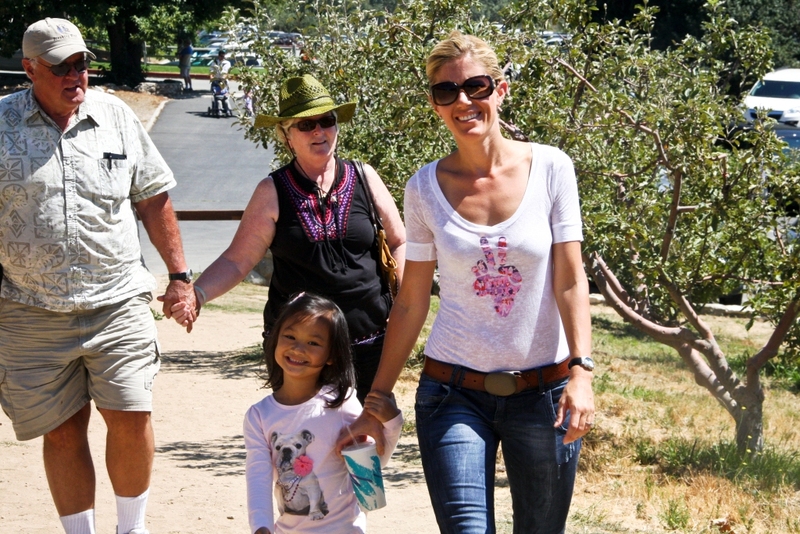 I was just so darn happy while walking through the orchard with my children, husband, and parents. 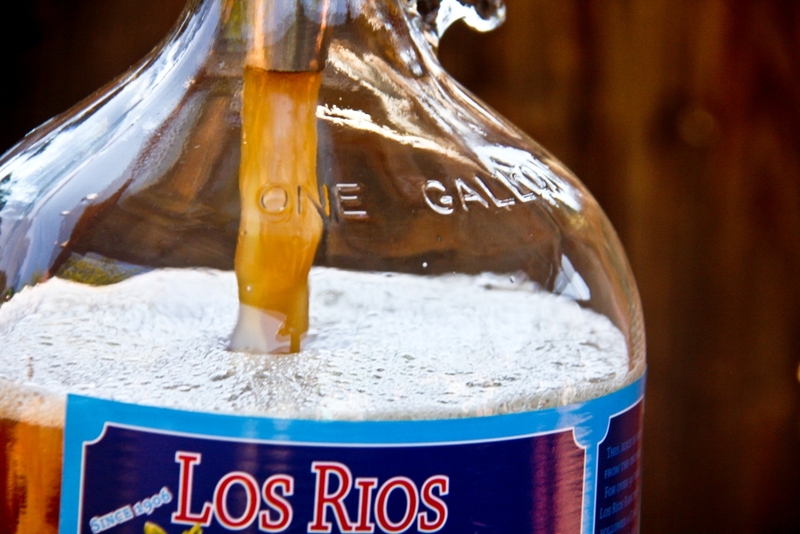 After picking apples we made our way back to the main buildings at Los Rios Rancho and had our hand at making our own apple cider the old fashioned way (translation…with man power). 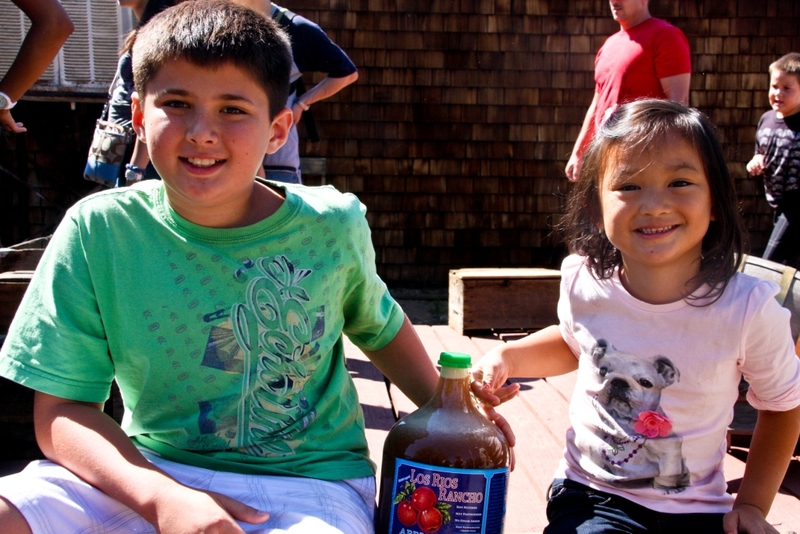 The cider was sooooo good and sweet…the kids went nuts for it! We really had a wonderful day in Oak Glen. When we got home we set to work making homemade apple pie and apple crumble. My daughter was having so much fun baking with her Nana. 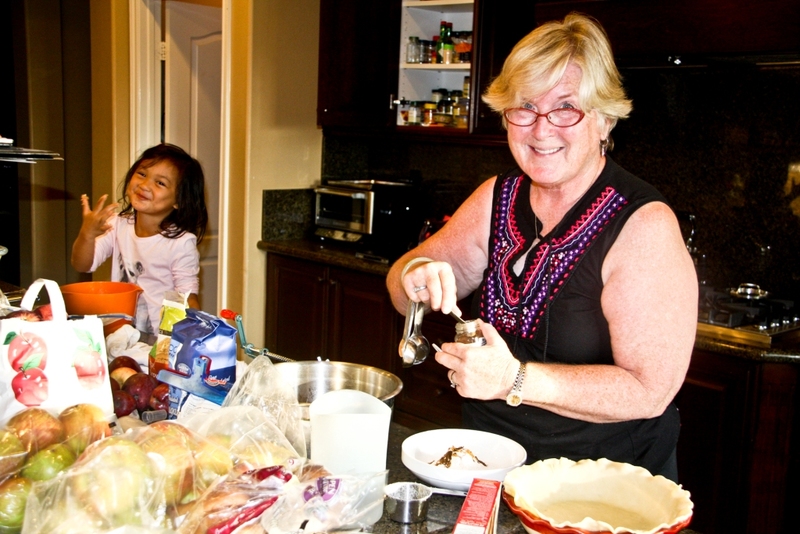 It felt great to have three generations in the kitchen creating together. 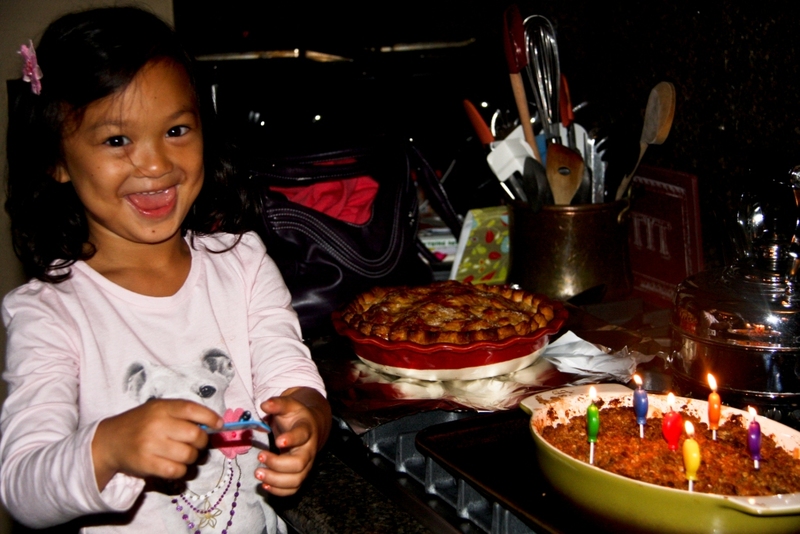 I can’t think of a better autumn “birthday cake” than fresh baked apple pie and crumble. 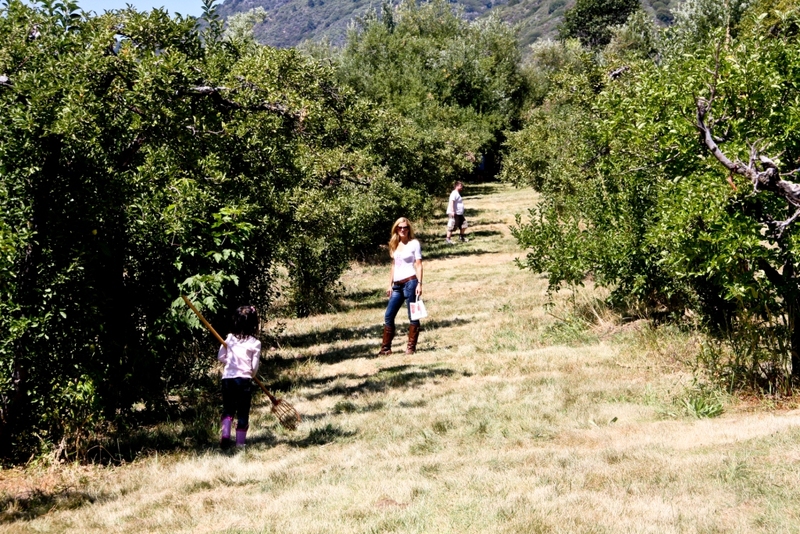 I highly recommend taking your family for a day of apple picking. It is so important for us to support our local farmers. 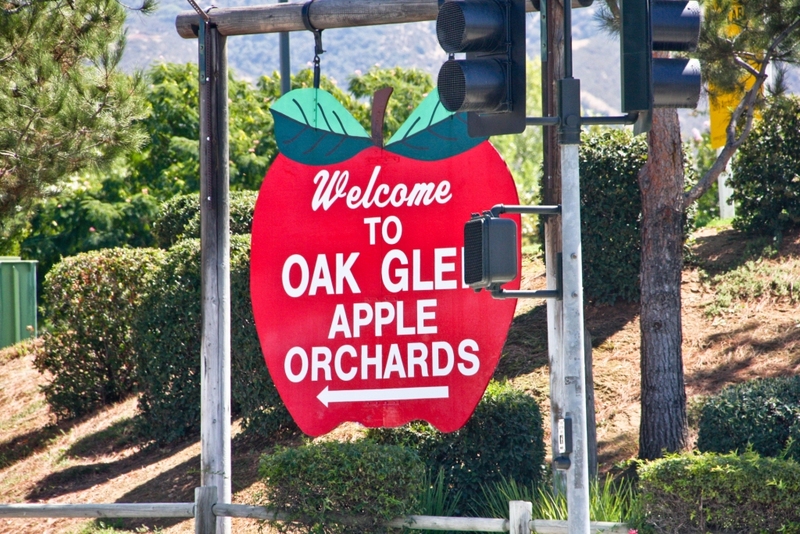 To learn more about Oak Glen click here.